Both doors are reinforced and fully lockable, with a central 3 point locking system. The scuff-resistant steel shelves have a strong 75 kg capacity. 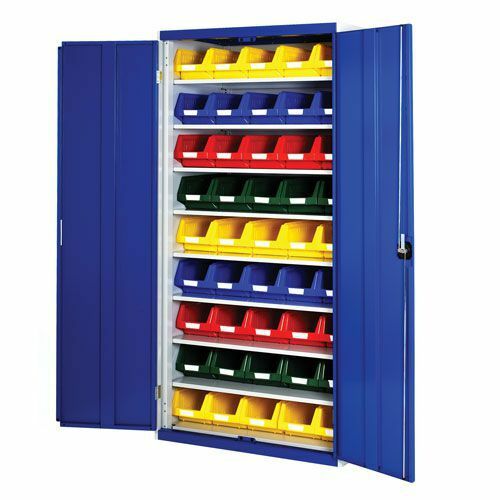 Bott Cubio workshop cabinet with 8 shelves & 45 bins for exceptional storage options HxW 2000x1050. Includes x45 bins of HxWxD 165x207x345mm.